Execu/Suite PMS. All in one hotel property management software. with our dedicated people who understand the extreme demands of the hospitality industry. of support programs that fit your property’s budget and needs. As you serve each of your guests individually, we serve each of our clients individually. Comprehensive online help. Webres: Commission free, Real time. No fees to a 3rd party reservations service when guests make reservations on your own website. No need to “pre-block” rooms. with tokenization, EMV, P2PE, easy PCI compliance, end-to-end solution. Powered by Microsoft Azure®, cloud based hotel property management software solutions remove the security and maintenance issues associated with an in-house hotel reservation system. 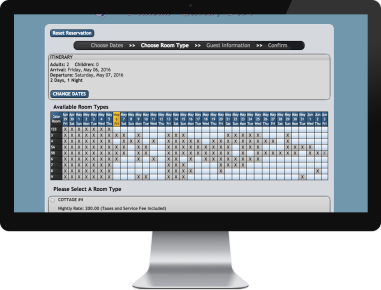 Gain a competitive edge with TravelClick’s iHotelier Suite. This integration of all our solutions provides you with a holistic and data-centric approach to attract the right guests at the right price, convert shoppers into bookers and build and maintain guest relationships.